Bill Daniels had an insatiable hunger for knowledge. Although he only received a 2 year degree at a junior college, his hunger for knowledge and strong work ethic paved the way to an extremely successful business career as a pioneer in the cable television industry. 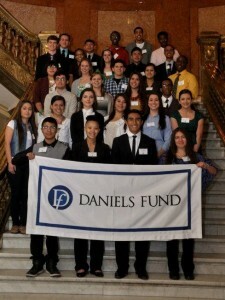 In 2012, Corona Insights had the pleasure of conducting stakeholder research for the Daniel’s Fund Foundation. The branding research aimed to better understand how the various types of people who interact with the Daniel’s Fund feel about the organization, including their perceptions of Daniel’s Fund, their overall awareness of Daniel’s Fund’s work, and their perceptions of the Daniels Fund in some key branding areas. This information served as a baseline to better inform upcoming branding efforts and possibly serve as a basis for comparison in a similar effort in the future. As a recent hire at Corona (9 months with the company), I wasn’t directly involved in the project, but had heightened awareness of the Daniels Fund. In March, I had the opportunity to volunteer with Goodwill Industries of Denver as a panelist of a mock scholarship interview for Daniel’s Fund scholarship finalists. In essence, this was a confirmation of the branding research Corona Insights had conducted in 2012. I went into the volunteer experience knowing very little about the Daniels Fund and left with a lasting impression of the foundation’s work. Bill Daniels once said, “I guess one just fails to realize the impact they have on young people. That is the one legacy I will be proudest to leave.” The Daniels Fund Foundation has been able to carry on Bill Daniels’s legacy beautifully after his death and the students I had the privilege of meeting were a testament to the success of the Foundation. Bill had an ability to find kids who were at risk of falling through the cracks and he’d invest in them personally and enjoyed watching them succeed. In March, I met Glenn who is exactly the type of person Bill would have been honored to assist. Glenn is a senior at North High School, one of Denver’s “turn around schools”. Although he struggled in middle school to even attend class, his perspectives changed when he was cut from the basketball team his freshman year. Yes, I said cut. After attending every practice and conditioning session, at 210 pounds and only five feet tall he was cut. Running and working-hard made Glenn feel great. Although he was cut from the team he didn’t want to give that up. He continued running and as his body transformed, so did his mind. He is now top of his class and in 2012 he completed a half marathon. Glenn has faced much adversity in his lifetime; he grew up in a bad neighborhood, was touched by gun violence, and has never had a father. However, in the hour I spent with Glenn, I observed a humble kid who had integrity, valued honesty, and cared about his community. He aspires to go to Occidental College in California to get a degree in Aerospace engineering. He will be the first person in his family to attend college. 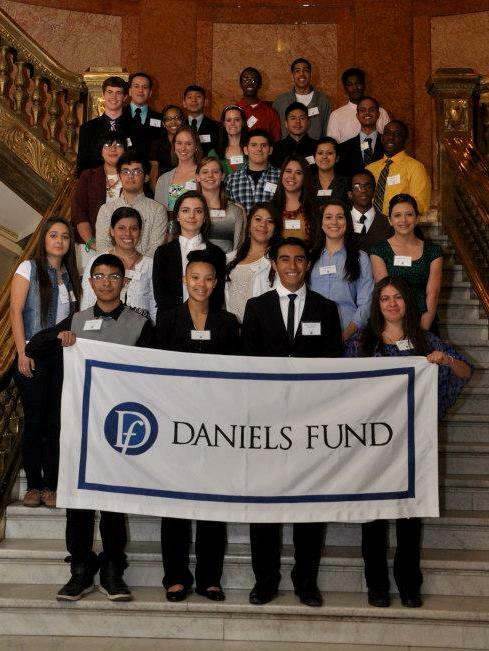 This year alone, the Daniels Fund will give 256 students in the four state regions of Colorado, Wyoming, Utah, and New Mexico a chance to pursue their futures. The Daniel’s Fund is keeping Bill’s legacy alive by making sure these kids who exemplify great character and potential have the opportunity to go to college. On April 26th, Glenn received notice that he had officially been chosen as a Daniel’s scholar. He reacted to the news as he does to any honor, very humbly not wanting to brag, but knowing that he had just received a gift to the future he envisions for himself. Thanks for sharing the inspiring story of this great young man.